In this tutorial we will take layer masking to the next level by looking at how you can seamlessly blend layers together. We will look at creating a new face from parts of four different faces. This will mean that we will want to blend one face to the next in a way that will be invisible and read as 1 face. We will then continue to the next tutorial using adjustment layers to allow each separate layer to match tonally. Lots to cover in this tutorial so you will need to play the video a few times and pause it to give each technique a try. Importing several images into 1 image as separate layers. As with any technique in Photoshop there are so many different approaches. To prevent accidental smart object layers (future video coming soon) I think this method will be quick and simple to use. Make sure that all the images that you want to use are in the same folder. This technique can be applied to anything that you want to create and I am going to demonstrate it doing a fun tutorial I wrote many years ago. My inspiration for it came from a cover of Time Magazine and the cover image had been created by integrating a portrait of around 100 different portraits, each portrait was of a person from a different nationality so the final image you could not say where the person was from. The concept stayed with me. 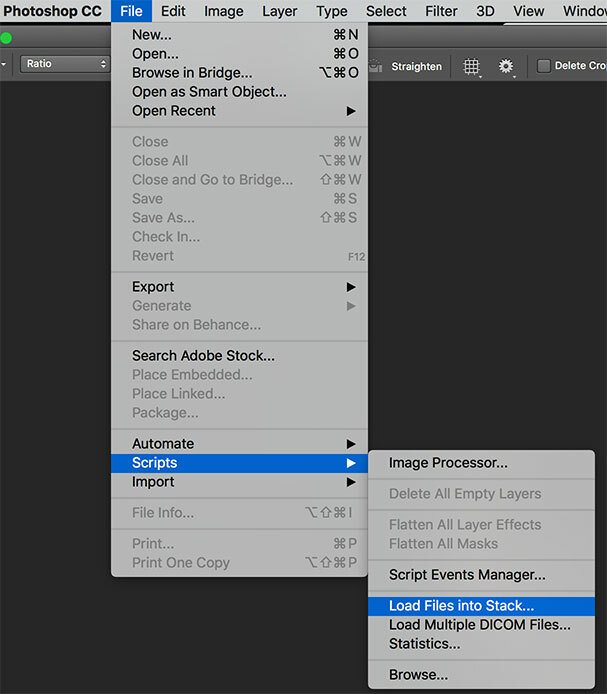 Go to File < Scripts < Load files into Stack then browse to your folder containing the images you want to blend together. Hit < Ok and then Photoshop will open each image and place each image onto a separate layer. We will be adding a layer mask to each of these layers and then looking closely at how we can blend them in a way that is invisible. This is a really fun exercise and the results you can achieve will really surprise you. Lets see this in action in the below video.